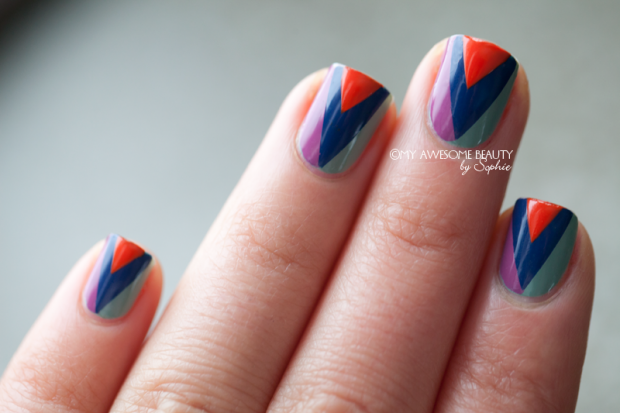 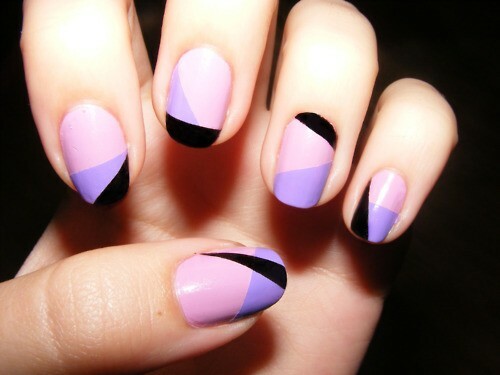 If you want to get perfectly geometric nail art, you should involve something as simple as cut-up Scotch tape. 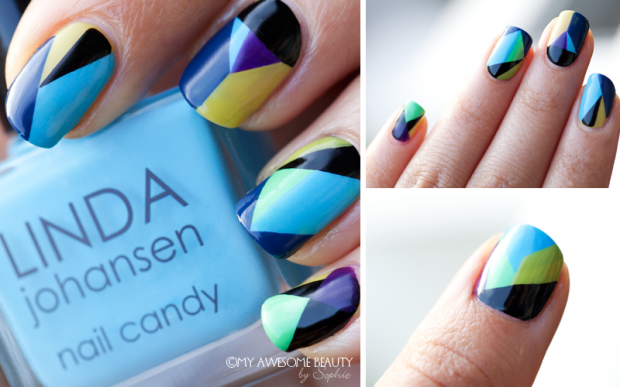 I love the simplicity of these designs and how you can customize them using different colors for different times of the year, like neon for summer. 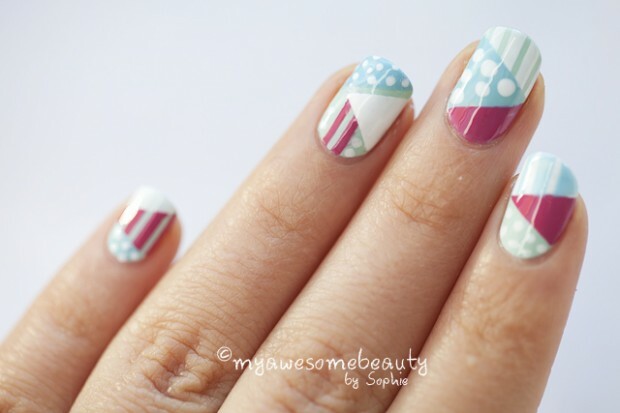 All you need is some polish and scotch tape! 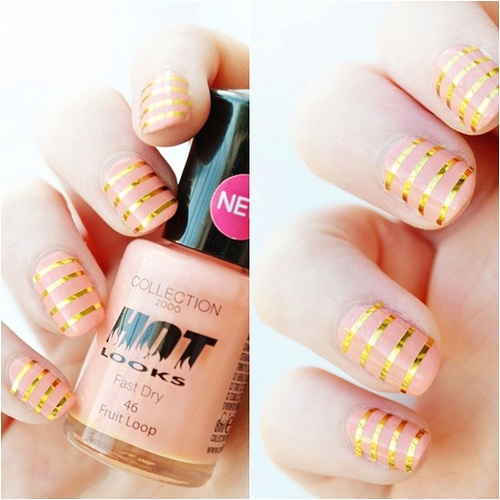 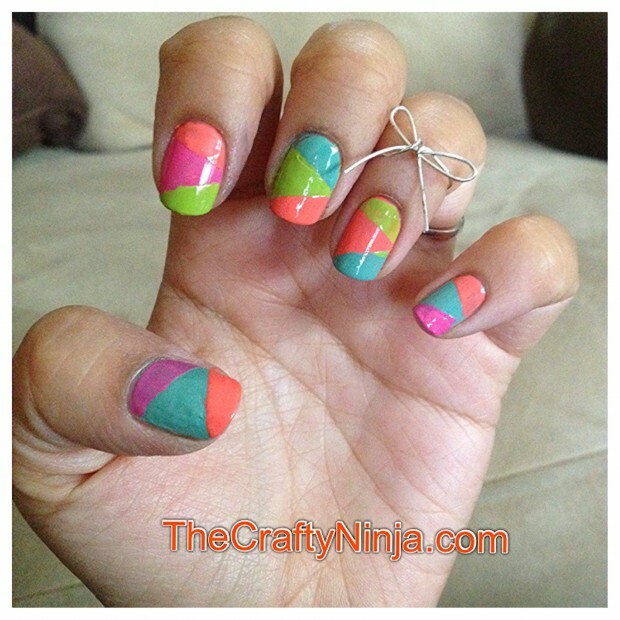 Cut up all your tape up before painting your nails. 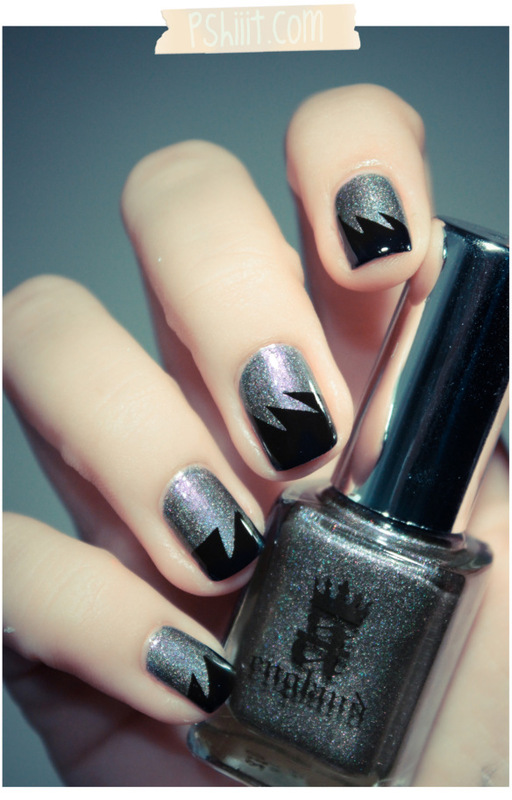 After applying your basecoat and letting it dry, paint on your base color. 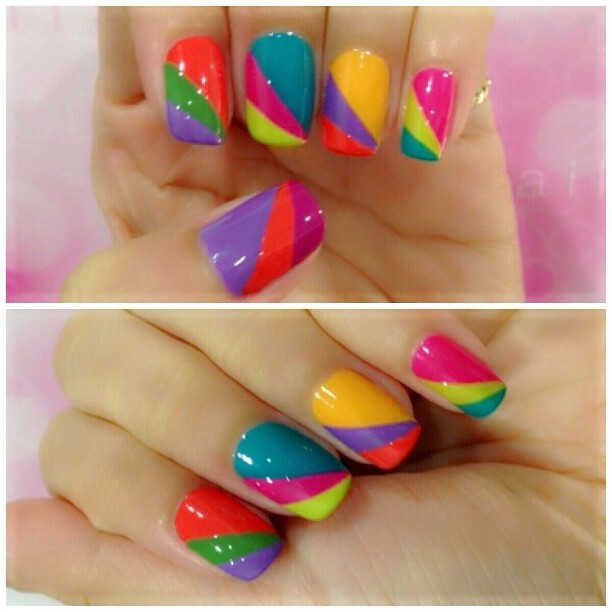 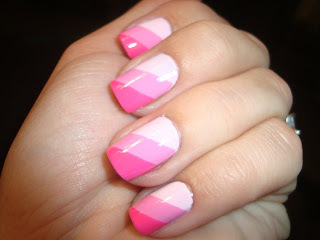 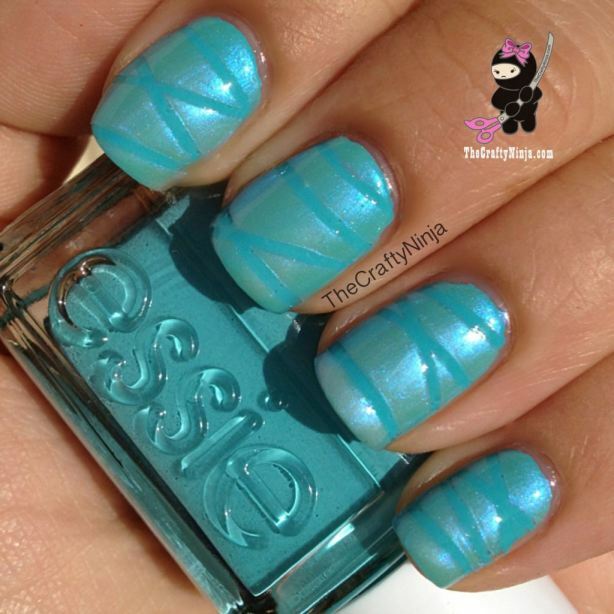 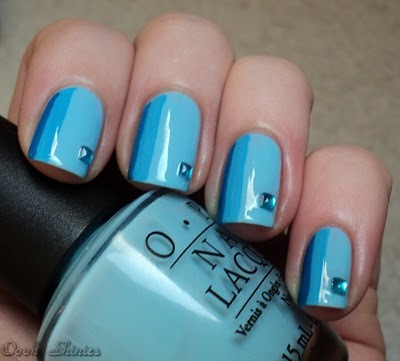 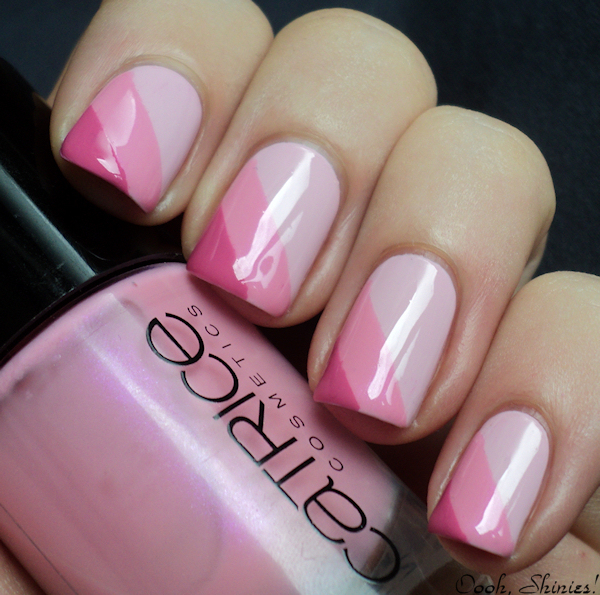 Then position the tape on your nail and apply the next color. 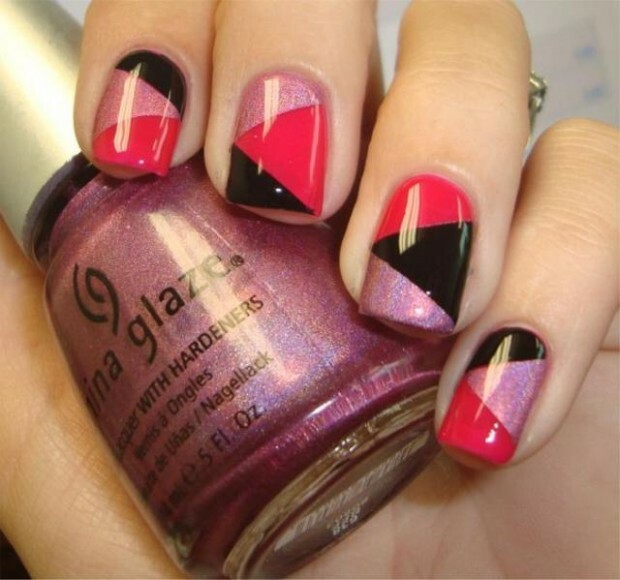 Remove the tape while the polish is still wet. 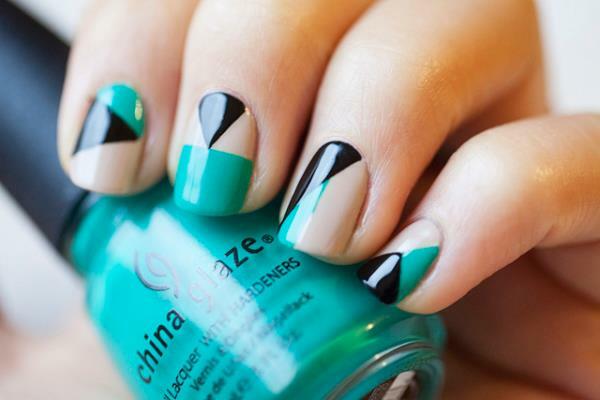 Remember to do one nail at a time.